If you follow me on instagram you will already have seen this, but I just had to share this beauty with you all, and posting it on here means I can actually provide a link as well. 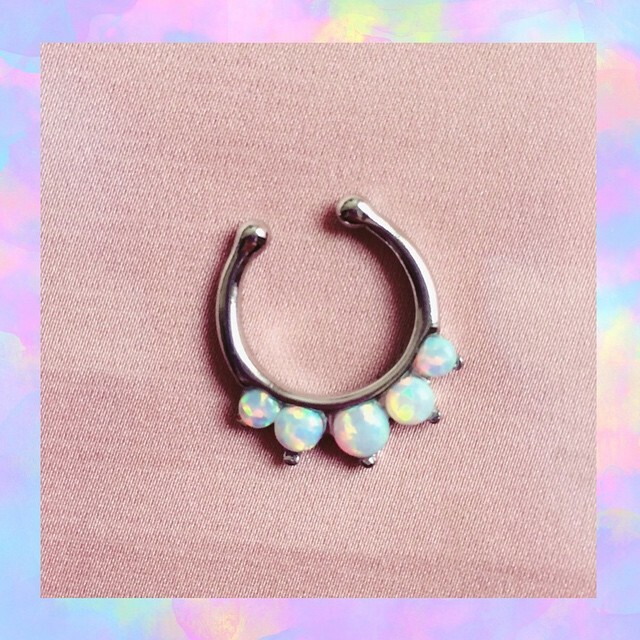 I'd seen these faux septum rings around for upwards of £20, but decided to have a browse on eBay and saw this one for only £6.99! Opals are by far my favourite stone, I just think they're so beautiful and I'll never get tired of looking at all the different colours within them. I never used to like septum rings (and wasn't brave enough to wear one), but I just think they look so unique and add an edge to any otherwise girly outfit. Love it. I've been wanting a septum ring. cool post! This is really lovely and discreet ! I don't understand when I click on your ebay link, ebay tells me that the item is blocked in my country (I'm in LDN) what ? !